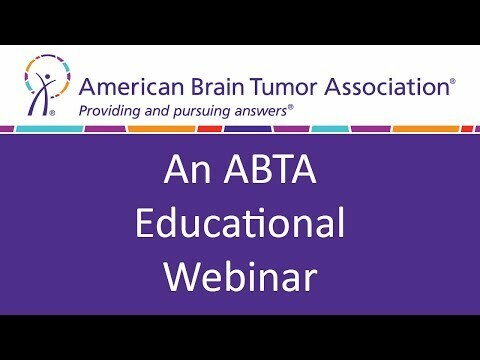 Founded in 1973, the American Brain Tumor Association (ABTA) was the first national advocacy organization committed to funding brain tumor research and providing information and education on all tumor types and all age groups. The mission of the ABTA is to advance the understanding and treatment of brain tumors with the goals of improving, extending and, ultimately, saving the lives of those impacted by a brain tumor diagnosis. High Grade Gliomas: What's New?